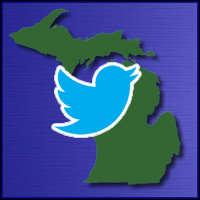 Join us for the weekly #michED Twitter chat. Every Wednesday evening at 8 pm EST we host an hour long chat about topics important to students, educators, and parents in Michigan. Get connected! Contribute to the #michED blog, read the latest from #michED Chat planning team, or discover excellent blogs from Michigan educators. Listen to stories from Michigan’s classrooms, and submit your own stories of connecting, growing, and learning. #michED Chat 1/10/18 – Staring the New Year! A chat about starting 2018 on the right foot; aspirations, resolutions, and convictions! A chat about teacher leadership, and helping educators make committed change for all students in their school. A chat about burnout, staying focused on our “why”, being centered, and caring four ourselves. A chat about the reality of criticism we face as educators, how we own it, and how we can become better at overcoming it. A chat about coding, computer science, and helping students find success with new skills.